For any business, it is crucial to have the right supplies. These days most will say to look for the ones with the cheapest prices. But is it always a better deal when you pay a lower price? Yes and no. Price should only be one factor. Here are things to consider in finding the right machine parts supplier. It is important, yes. However, your supplier should have a reasonable margin on your business. Otherwise, something is going to be compromised along the road. 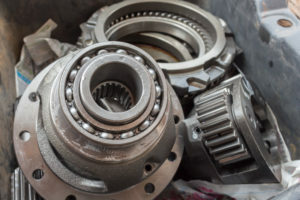 Your supplier should have consistent, stable services for your machine parts or they may be shut down sooner or later; it will be risky if you didn’t have backup suppliers. This applies to the supplier’s capacity to adhere to specifications and having the products made with the right type and amount of materials. A fast, reliable delivery is only half of the reliability if they provide substandard parts that you have to reject. Inferior parts that do not meet your production tolerance can often be worse than having no parts at all. These post a greater threat of damaging your manufacturing products or equipment. When you outsource your products, factors like late orders, slower time in resolving an issue, or late importing of invoices can affect not only your expenses but also customer satisfaction. Accomplishing your own production timetable may become an impossible thing to do if your suppliers take longer to provide your tools and materials. Not only do suppliers need to deliver quality machine parts, they need to know if their customers’ needs have changed or not, over time. It’s about hearing and understanding what customers are saying so that business remains good. It may be challenging to find the right machine parts supplier with the qualities above, but it doesn’t have to be. N&S Flame Spray has consistently supplied precision-engineered parts on time. Contact us today to request a quote.